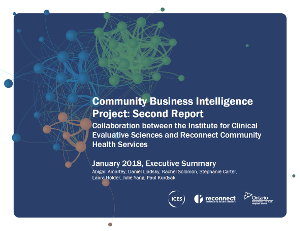 The CBI-ICES Data Partnership links data from CBI to the administrative health data holdings at the Institute for Clinical Evaluative Sciences (ICES). ICES is an independent, non-profit organization that uses population-based health information to produce knowledge on a broad range of health care issues. 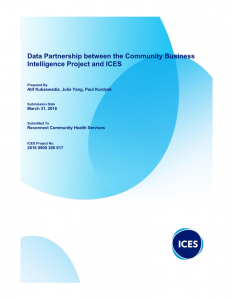 Key to ICES’s work is its ability to link population-based health information at the patient level in a way that ensures the privacy and confidentiality of personal health information. 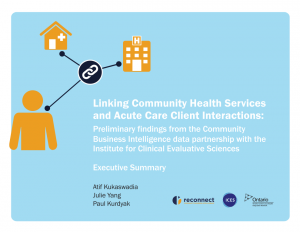 The data partnership has produced two reports that demonstrate the possibilities available to researchers and system planners to follow populations accessing community care through other parts of the health care system. 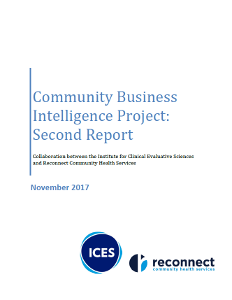 Check back soon for a video recording from the CBI-ICES Report Launch Event on January 22, 2018.